While we prefer to emphasize positive news in our posts, occasionally life hands us situations which can only be seen as positive after some thought. 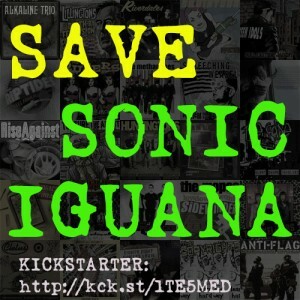 One such situation is that Sonic Iguana Studios suffered its third major disaster in recent weeks–a burst pipe which filled both studios with at least 700 gallons of water–and I’m only now completely digging out of it after hundreds of man hours of my work and that of wonderful and selfless friends. Between damages to the studio facilities, lost studio time, destroyed equipment, and other costs, the studio is now in a crunch to cover massive expense in a short period of time. Fortunately, dear old friends of the studio have offered some advice in addition to the help we’ve received in clearing up the mess, and we have just launched a Kickstarter campaign to help raise funds to rebuild and improve the studio so we can continue to offer professional studio services to musicians at the lowest cost possible. In the past, we have done a great deal of very low-price sessions and pro bono mastering jobs to help deserving bands. Some sessions turned into free ones against my wishes when labels went out of business or bands broke up before completing albums. 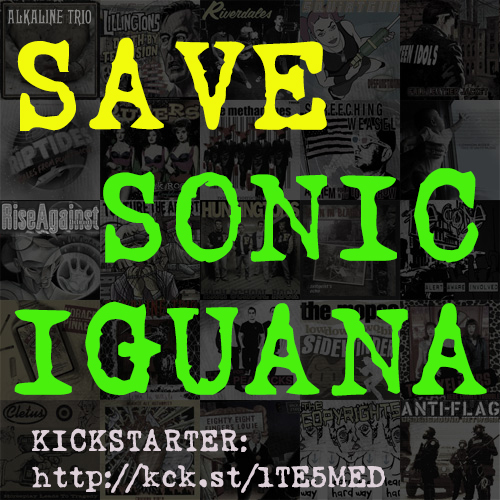 Now we are asking that music fans who have enjoyed albums produced, recorded, mixed or mastered at Sonic Iguana to help support the studio and get it out of this urgent situation and back into full operation–we’ve put together lots of interesting ways to support the campaign, including having contributors act as classical benefactors and fund the albums of future bands recording at Sonic Iguana–and those same contributors would have a hand in choosing those bands. If you’re not much of a fan of group funding sites and prefer to offer direct contributions or even larger low-or-no-interest loans, we are all ears. There is a clock ticking, and it’s only a few weeks off, so make your voice heard soon! Please contribute what you can to the campaign, and also notice that all of the rewards are also great values in case your band is looking for mastering or mixing work!